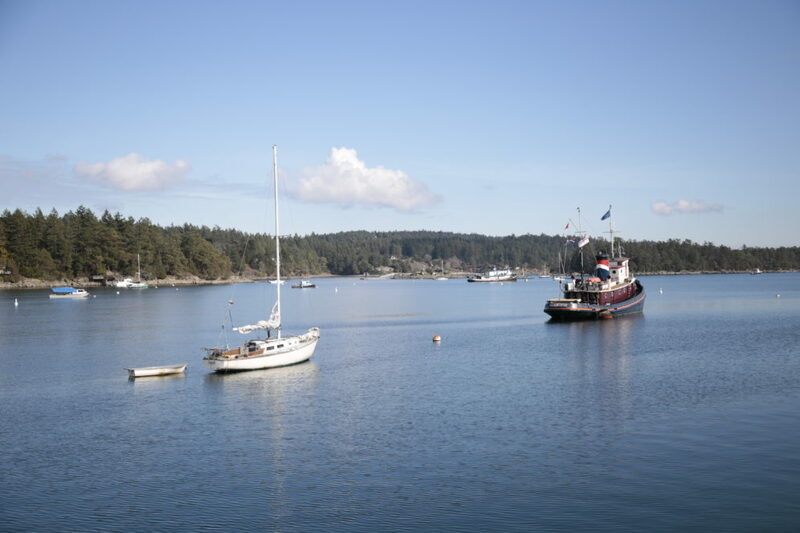 So you’ve decided to see why the Gulf Islands are consistently rated a “must-visit” destination — but how do you decide which ones to see first? The islands share West Coast natural beauty and weather, and a culture forged from generations of independent-thinking residents, yet each has its own character, history and amenities, which are readily discerned through a visit or two. They range substantially in size, population and services, but all of them offer safe, rural environments and an escape from the stress of a busy life. 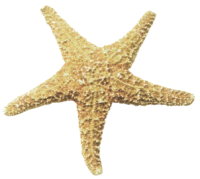 Please note that potable water is scarce on all of the islands, so that conservation is a must while you are visiting. Read about each island in the pages that follow and see which one suits your fancy, or plan a trip around a cultural or recreational event. 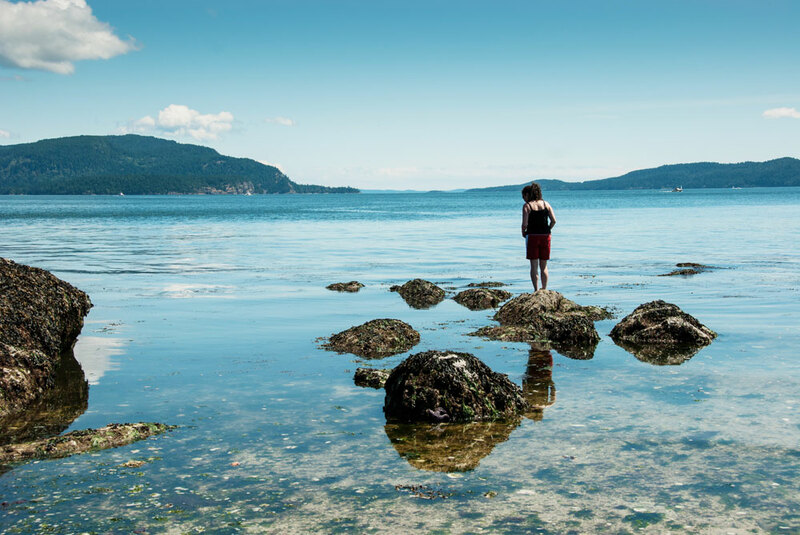 Whatever you seek and whatever you discover, we know that once you’ve seen the Gulf Islands for yourself, you’ll stop wondering why they’re such a treasured part of the world. Most people use B.C. Ferries to reach the main Gulf Islands on foot, bicycle or vehicle, travelling through some of the most stunning scenery in the world. See www.bcferries.com for everything you need to know about schedules, reservations and fares. The Gulf Islands are well served by float plane companies for scheduled and charter flights. 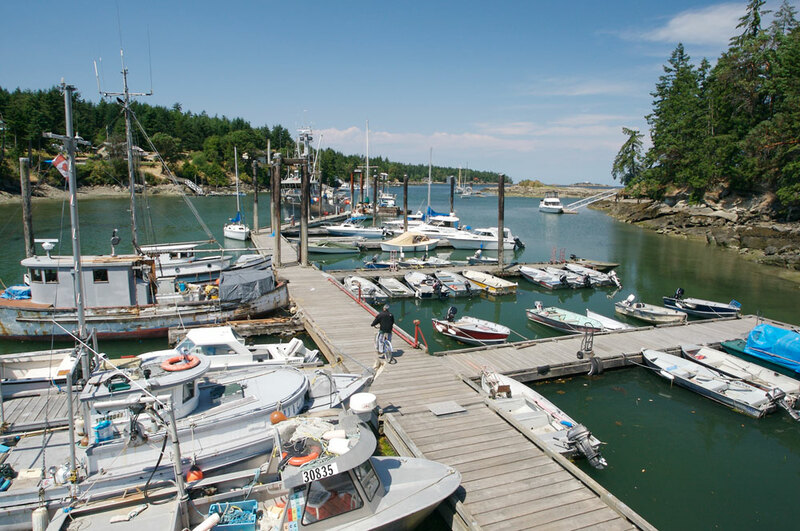 Government docks and private marinas are ready for boaters year-round. Booking ahead is recommended during busy summer months. Water taxi services provide some island connections. Ways to get around vary from island to island. Besides taxi services and car and scooter rentals, Salt Spring Island has a public transit system. See busonline.ca or call 250-538-4282 for up-to-date bus info. Mayne and Pender islands have community buses too. For Mayne info, email maynebus@shaw.ca, or call/text 250-539-0851. Pender info is at penderbus.org. 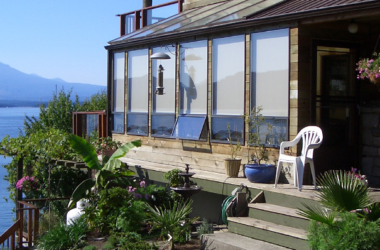 The Saturna Shuttle operates in summer months (saturnashuttle@gmail.com), and Galiano’s Hummingbird Pub and Galiano Inn provide some shuttle services too. Pender, Mayne and Salt Spring islands also have car-stop systems for easier hitchhiking. 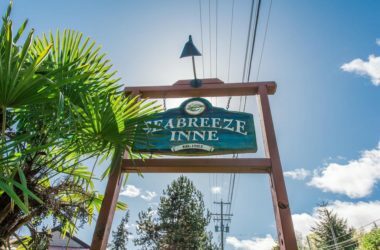 A warm welcome awaits you at the Seabreeze Inne. Heated guest gazebo, hot tub, children’s play area, patio area with propane BBQ’s and propane fire pit. Affordable, friendly hospitality! 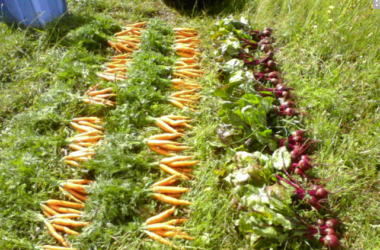 Experience our large working farm. Farmhouse, secluded cabin. Wildlife abounds! 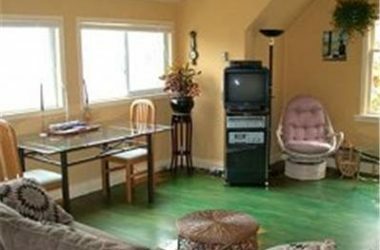 Cozy self-contained character suite with incredible ocean views and downtown location. When Captain George Vancouver made his first Gulf Islands sightings in 1792, the area was already home to several First Nations people. A cultural resurgence is well underway among the region’s Quw’utsun, WSA’NEC and Penelakut people, with elders and knowledge keepers sharing indigenous ways of being in a variety of ways on their traditional territories. In the summer of 2016, male and female welcome poles were brought to the seaside at Burgoyne Bay Provincial Park by members of the Quw’utsun First Nation. 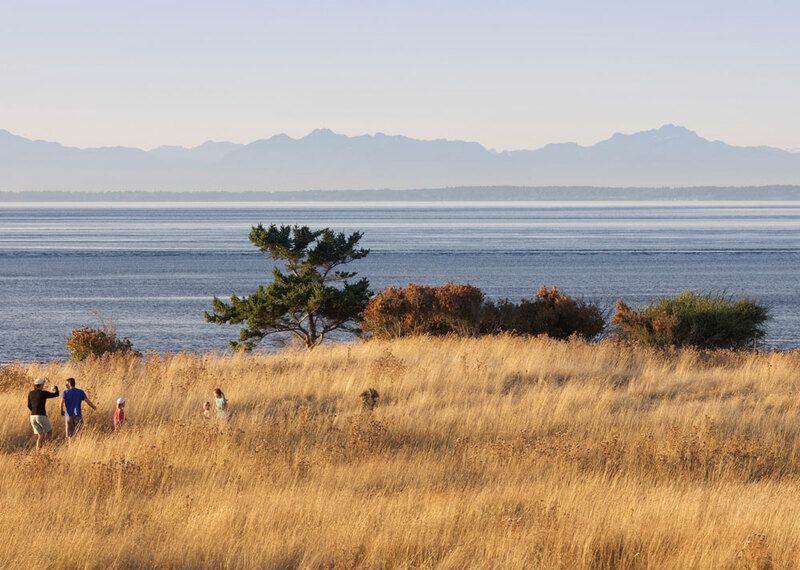 Captain Vancouver claimed the islands for the British Crown, and referred to them as being located in a “gulf.” While the Gulf Islands are clearly not in a gulf, the name stuck. In the same year, Spanish and British cartographic expeditions also explored the area, intent on finding a passage to the northwest Atlantic. As marine traffic between Victoria and the Fraser River area of the mainland increased, it became clear that a new map of the Strait of Georgia was needed. In 1858-59, another British cartographic expedition, on the HMS Plumper, was dispatched and more accurate maps were produced. 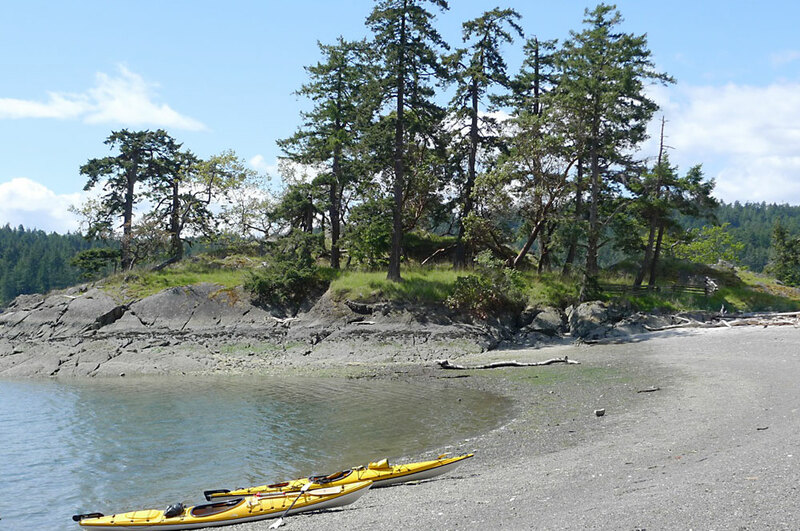 By now, pioneers had begun establishing settlements on the Gulf Islands. American blacks and Portuguese arrived in 1859 and carved out homesteads in fertile valleys on the north end of Salt Spring. Hawaiians, who were employed by the Hudson’s Bay Company or living in the San Juan Islands when they became U.S. territory in 1872, also settled on south Salt Spring and nearby islands. Settlers from other parts of the world soon followed, establishing farms and small industries. Japanese residents created productive farms and fish salteries, which they lost during the internment of World War II. A stunning Japanese garden at Dinner Bay Park on Mayne Island, and the Heiwa Garden in Peace Park in Ganges on Salt Spring Island recognize the contributions of Japanese settlers. 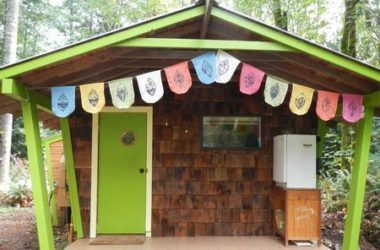 New in Mouat Park on Salt Spring is a restored charcoal kiln used by Japanese pioneers. 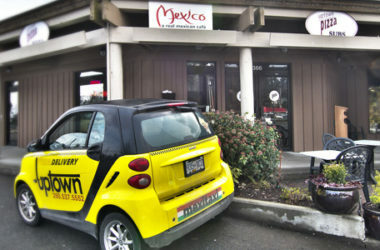 Delivery all over Salt Spring. Fresh made dough and sauces. Fresh slices all day.